In 2002, a young American named Nick Simons came to work in Nepal. Despite the cultural and language barriers, he stayed for 9 months and when he returned home to New York his fondness for Nepal remained. He told his mother not to be surprised if he wound up spending his life in a country like Nepal. And he enrolled in the remaining course that would allow him to apply to medical school. 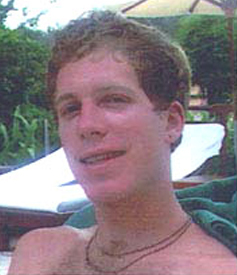 During the summer of 2003, Nick drowned while swimming in Bali. A little more than two months after his death, his parents, sisters, and a handful of friends came to Nepal hoping to create some tangible goodness in a place they knew almost nothing about. They first funded a Maternity Ward for Patan Hospital. A year later, they challenged a group of health professionals to develop an organization – a living memorial as it were – that might reach out to the least served in rural parts of the country. What has formed is not just a development organization. People have come to know not just the programs, but the people and the story behind them.